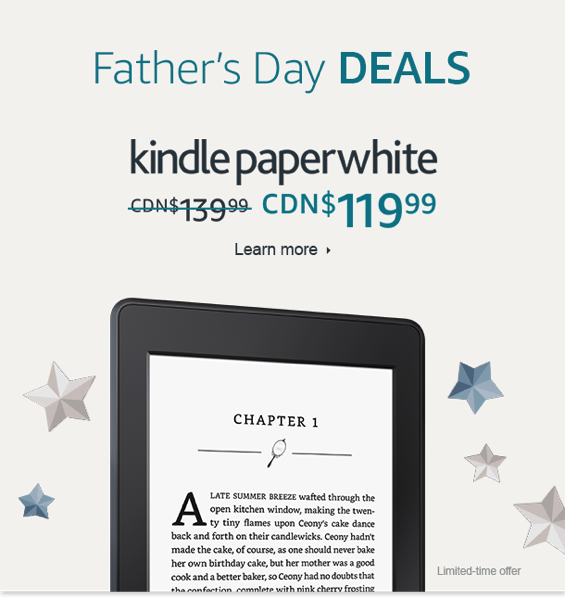 Father’s Day is in one week (June 18) and if you’re still trying to figure out a gift for dad, Amazon.ca has launched a $20 off sale on their Kindle Paperwhite e-reader, at $119.99. The Kindle Paperwhite only goes on a sale a few times per year, so if you’ve been meaning to get one, now is the time. 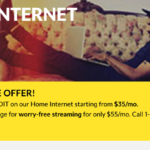 With Prime shipping speeds, you’ll be able to easily buy one today and have it arrive this week, just with a few clicks. What makes the Kindle Paperwhite so awesome is its eye-pleasing front-lit light for its 300ppi glare-free display, allowing for reading at night or in times of low light. Battery life is pegged at weeks and you’ll be able to store “thousands of books”. WhisperSync allows Kindle users to save bookmarks to the cloud, whether they are reading from the Kindle iOS app on iPhone, iPad or their Paperwhite. Click here to jump on the Kindle Paperwhite while it’s still on sale. Click here to check out the Father’s Day store on Amazon.ca.